Here at the Coliseum we’ve put on a few pantomimes in our time, the workload doesn’t decrease with year on year practise but then neither does the fun. We’re now reaching the end of our second full week of rehearsals and our enthusiastic cast of eight have been working their socks off. Throughout a typical day we work on the script with the cast and Dave Bintley our musical director goes through the songs in the show, although this year’s playlist is remaining a secret until opening night I’m afraid. Along with learning the songs our superb choreographer Beverly Edmunds, whose handiwork you may have seen in Chicago, puts the cast through their paces with dance routines and general stage movements. Stopping briefly for a rushed lunch it’s a packed day for all, but we don’t stop at five o’clock. In the evenings the company work with the juvenile chorus of local girls aged 8-15. This year, as previously, the girls got their place in the company through the open auditions which we held back in September. The chorus are a hugely important part of the pantomime production helping to add to the scale of the show by filling the stage with action. 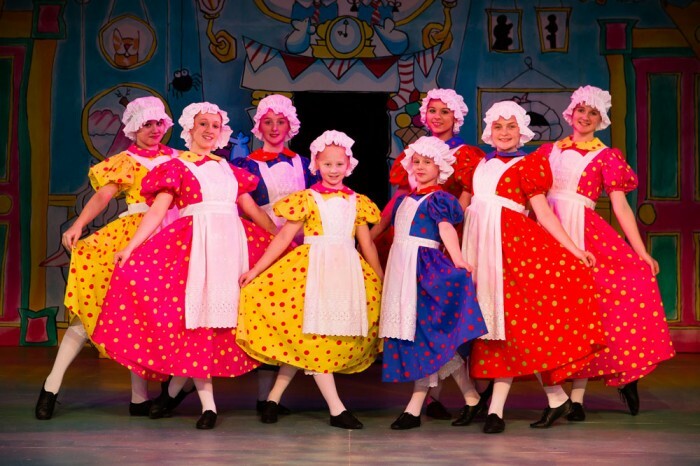 Many of them are skilled dancers, with some having appeared in previous Coliseum pantos for a number of years developing those skills and helping to create the atmosphere of revelry we try to bring to each performance. We are about two weeks away from our opening day on Saturday 16 November. As I said we’re not new to putting on a pantomime but with the sheer size of the production and the amount of performances we still make it our priority that it is the best show it can be. After all it is the biggest event in the theatre’s calendar and is loved by people of all ages, we have to make sure it’s not just us having a good time but that each audience member thoroughly enjoys the show and their visit to the theatre. The first chance glimpse of our fantastic bespoke panto costumes which are always a staple feature will be at the annual reindeer parade in the town centre next Saturday, 9 November at 12.45. So make sure you grab a good spot to watch and whet your appetite for the festive season.